Murray Stein shares these timeless lectures--a work of respectful and loving interpretation. The Bible presents a world elaborated with reference to a specific God image. As the mythographer Karl Kerenyi puts it in writing about the Greek gods and goddesses, every god and every goddess constitutes a world. So it is too with the biblival God, whose name Stein exceptionally capitalizes throughout out of cultural respect. 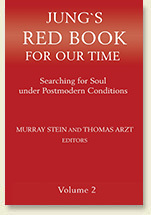 Edited by Murray Stein and Thomas Arzt, the essays in the series Jung's Red Book for Our Time: Searching for Soul under Postmodern Conditions are geared to the recognition that the posthumous publication of The Red Book: Liber Novus by C. G. Jung in 2009 was a meaningful gift to our contemporary world. "To give birth to the ancient in a new time is creation," Jung inscribed in his Red Book. The essays in this volume continue what was begun in Volume 1 of Jung's Red Book for Our Time: Searching for Soul under Postmodern Conditions by further contextualizing The Red Book culturally and interpreting it for our time. It is significant that this long sequestered work was published during a period in human history marked by disruption, cultural disintegration, broken boundaries, and acute anxiety. The Red Book offers an antidote for this collective illness and can be seen as a link in the aurea catena, the "golden chain" of spiritual wisdom extending down through the ages from biblical times, ancient Greek philosophy, early Christian and Jewish Gnosis, and alchemy. The Red Book is itself a work of creation that gives birth to the old in a new time. The essays in this volume are geared to the recognition that the posthumous publication of The Red Book: Liber Novus by C. G. Jung in 2009 was a meaningful gift to our contemporary world. Similar to the volatile times Jung found himself in when he created this work a century ago, we today too are confronted with highly turbulent and uncertain conditions of world affairs that threaten any sense of coherent meaning, personally and collectively. The Red Book promises to become an epochal opus for the 21st century in that it offers us guidance for finding soul under postmodern conditions. This is the first volume of a three-volume series set up on a global and multicultural level and compiling essays from distinguished Jungian analysts and scholars. In these late essays, Murray Stein circles around familiar Jungian themes such as synchronicity, individuation, archetypal image and symbol with a view to bringing these ideas into today’s largely globalized cultural space. These are reflections for our time, drawing importantly on the works of C.G. Jung, Erich Neumann, Wolfgang Pauli and a wide range of contemporary Jungian psychoanalytic writers. The general thesis is that all of humanity is connected—to one another, to nature and to the cosmos—and no human being should be left out of the picture of postmodern consciousness. 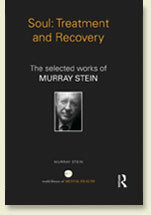 Murray Stein is well-known as an insightful and pioneering author and academic. Soul: Treatment and Recovery presents a selection of papers and book chapters spanning his career from 1973 to 2012. The chapters included in this collection speak for Stein’s hope that individuals and humanity as a whole can evolve toward greater consciousness and awareness of meaning in daily life. Many people have an aptitude for religious experience and spirituality but don't know how to develop this or take it further. Modern societies offer little assistance, and traditional religions are overly preoccupied with their own organizational survival. 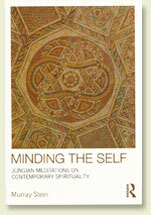 Minding the Self: Jungian meditations on contemporary spirituality offers suggestions for individual spiritual development in our modern and post-modern times. Here, Murray Stein argues that C.G. Jung and depth psychology provide guidance and the foundation for a new kind of modern spirituality. The book describes a method for people to discover the truth about who and what they essentially are, beyond a name, a social status, a role in family and community. 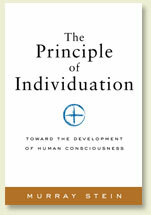 As a method, individuation is akin to meditation, but it includes action, the transpersonal and mythic, and psychological development throughout a lifetime. The book also speaks of nations, cultures, and religious traditions changing and becoming, filling in the empty spaces and fulfilling their destinies. The principle of individuation can be used to guide politics and decision-making on a global level, to promote the development and integration of humanity as a whole. "A guide for the beginner and for the serious student of Jung, as well as an excellent review of Jung's theories for the seasoned scholar. 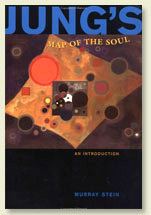 Jung's Map of the Soul is the most important book on Jung's psychology to have come out in years. 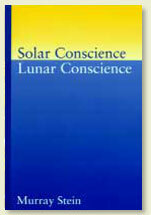 It is enlightening both for those who want to understand Jung, and for those who think that they already do." June Singer. With major essays written by nearly forty distinguished international Jungian psychoanalysts and extensive introductions by Murray Stein, Jungian Psychoanalysis is a definitive guide for analytic practice and the theoretical framework that supports it. 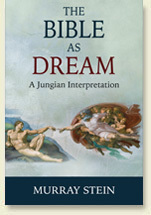 It can be used in Jungian training programs and to introduce other therapists to Jungian techniques. All the chapters are written in a direct and comprehensible style suitable for the general reader who wants to be informed of contemporary Jungian thinking. 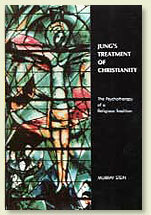 An interpretation of Jung's encounter with Christianity based on his clinical approach to psychotherapy patients. 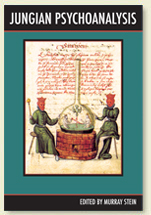 In the last 20 years of his life, Jung wrote extensively on the Trinity, the Mass, heries such as alchemy, and the Bible. Stein understands these as an effort to offer psychotherapeutic treatment to an ailing Christianity and to help this religious tradition evolve into its next stage of development. 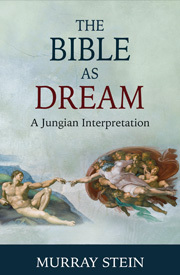 Here, Stein provides a comprehensive analysis of Jung's writings on Christianity in relation to his personal life, psychological thought and efforts to transform Western culture and religion. 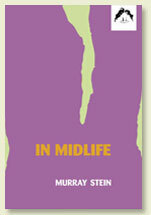 Midlife: crisis, anger, change… Drawing on analytic experience, dreams, and myths, Stein formulates the three main features of the middle passage. First an erosion of attachments. Then hints of a fresh spirit - renegade and mischievous - that scoffs at routines. This new spirit disrupts life and alarms family and friends. Finally, with luck, a transformation occurs; life beings anew. Practicing wholeness is an everyday activity. Contents of this book include "The dream of wholeness," "Symbols as transformers of the psyche," "Practicing wholeness in organizations." 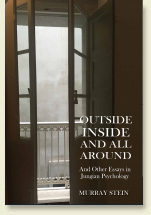 Other chapters are clinically focused: "Three types of countertransference," "Envy and sibling rivalry as block to wholeness," "Amor fati: analysis and the search for personal destiny." 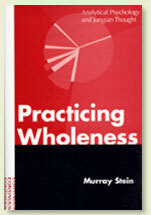 Stein argues that practicing wholeness is relevant to many areas of life: our private inner worlds, our religious believes, our organizational involvements, and our cultural paradigms. 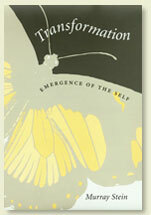 "Although many important books have emerged from the field of analytical psychology…since Jung's death, I have encountered none that speaks more directly to the needs of the soul in our time than Murray Stein's new and exciting book Transformation…this 148-page artfully argued tour de force…I believe to be Stein's master work…" Steven B. Herrmann, San Francisco Jung Institute Library Journal. This is an essay on the psychological foundations of morality, lawfulness, and the sense of justice. Using case studies from clinical practice, biographies of well-known persons, and myth, Stein discusses the complexity of conscience and illustrates the distinction between two poles of conscience - the one embedded in human community, the other in the collective unconscious.